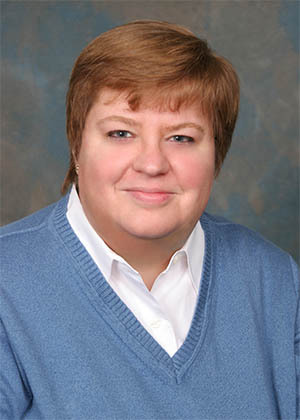 Until her passing in 2017, Amy Ridenour (pronounced RIDE – en – our) was chairman of The National Center for Public Policy Research. As the founding chief executive officer, she had since 1982 promoted the conservative perspective on U.S. domestic, foreign and defense policy issues. She frequently spoke on public policy issues and political organizing techniques and did so across the U.S., in Central America and in Europe. Ridenour was co-author, with Ryan Balis, of “Shattered Lives: 100 Victims of Government Health Care,” and “Shattered Dreams: 100 Stories of Government Abuse” (editions in 2007 and 2003 with various co-authors), and wrote and edited hundreds of papers on public policy issues. Ridenour was deeply involved in all the programs of the National Center, including its Free Enterprise Project, its work on health care and retirement policies, its work on climate change policy and national security. Her opinion/editorials were nationally syndicated. Her articles have also been independently published hundreds of times by newspapers including the USA Today, the Sacramento Bee, the Dallas Morning News, The Washington Times, the Los Angeles Daily News and many others. Ridenour appeared as a guest on radio and television talk shows many hundreds of times, including on the Fox News Channel, CNN, MSNBC and the Comedy Channel and served as a guest host on a nationally-syndicated talk radio program. Ridenour served as a member of the board of directors of Black America’s PAC, a political action committee that works to help elect more African-Americans to Congress and other elected offices. Ridenour also served from 1993-1994 as co-host of Scoop, a public affairs show seen weekly on the public affairs television network National Empowerment Television (later known as America’s Voice). Ridenour served as vice-chairman of the International Youth Year Commission of the U.S. (1985); as Deputy Director of the College Republican National Committee; as Regional Coordinator for the Reagan/Bush 1980 campaign; as Chairman of the Maryland Federation of College Republicans and on Maryland Republican State Central Committee. Ridenour received the American Hero Award from the National Defense Council Foundation in 1988 and the William Paca Award from the Maryland Republican State Central Committee in 1979. A native of Pittsburgh, she studied economics at the University of Maryland at College Park. She resided in Maryland with her husband, David, and their three children.